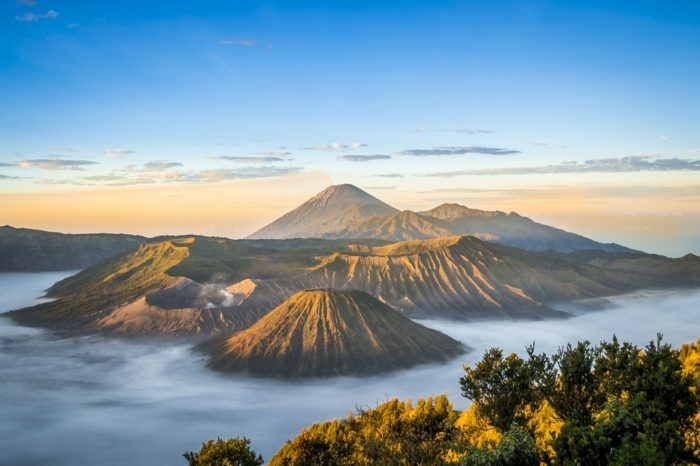 Brimming with incredible landscapes and extraordinary diversity, Bali and Lombok are perfect havens for curious, active travellers. Go white water rafting outside Ubud, stroll through rice paddies and quaint villages en route to Candidasa, wind your way along the slopes of Mount Agung to the beach, climb the mythical route to Lempuyang Temple, trek through monkey-filled forest to Mt Rinjani, and snorkel in search of sea turtles in the remote Gili Islands. Learn about Balinese cultures and traditions along the way, from Hindu temples to old-fashioned blacksmithing. With a healthy dose of beachside chill-time thrown in, this Bali and Lombok adventure strikes the perfect balance. This trip is designed for those who love to get active. While prior training may not be necessary, a moderate level of fitness will help you to get the most out of the activities on this trip. The white water rafting excursion just outside Ubud (Day 2), involves grade II and III rapids, so a level of confidence in the water is essential. Similarly, you’ll need to be a confident swimmer for the Gili Islands snorkelling trip (Day 11). Cycling the beautiful coastal route to Amed (Day 5) involves hills, twists and turns, and will cover up to 35 kilometres. Rest assured a support vehicle is there if you need it. Be prepared for a few nights without hot showers – hot water can sometimes be unreliable at some destinations! The hike to the Mt Rinjari crater is demanding and can vary a great deal depending on the weather. Be sure to bring strong, sturdy walking shoes and clothes for cold temperatures. All camping gear will be carried by porters. Om Swastiastu! Welcome to Ubud, the arts and cultural centre of Bali. Your adventure begins with a welcome meeting at 6pm. Please look for a note in the hotel lobby or ask reception where it will take place. If you can’t arrange a flight that will arrive in time for the welcome meeting, you may wish to arrive a day early so you’re able to attend. We’ll be happy to book additional accommodation for you (subject to availability). If you’re going to be late, please inform the hotel reception. We’ll be collecting your insurance details and next of kin information at this meeting, so please ensure you have all these details to provide to your leader. Afterwards, perhaps head out to Gianyar night market. It’s an informal setup, but a great way to get a taste of the local culture and cuisine. Embark on a white water rafting adventure just outside Ubud today. Zoom down an 11km long river stretch, navigating through class II and III rapids set to a backdrop of pristine rainforest, shadowy gorges and picturesque rice paddies (approximately 2 hours). Finish up with a hot shower – clean towels and changing rooms are available. For lunch, enjoy a buffet feast before heading back to Ubud for the afternoon. There are a lot of steps to climb down to and up from the river. It’s a good idea to wear a pair of shoes or sandals that can get wet, and are fitted to your feet. Leave the hustle and bustle of the city today, driving from Ubud to the foothills of Mount Agung (approximately 2 hours). Here you’ll start your day of cycling. 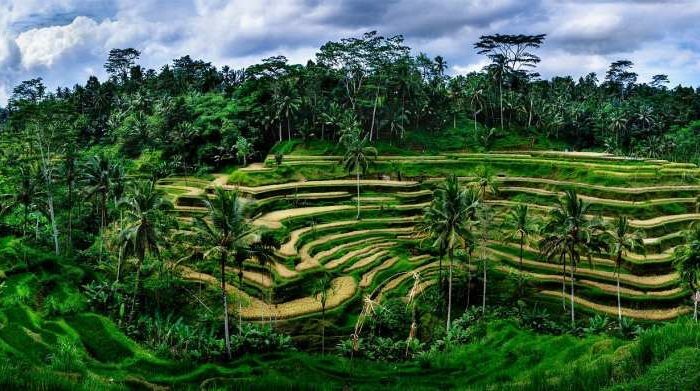 The route you’ll ride will start close to the slopes of Mount Agung, beginning with a winding trail through lush bamboo forests and fruit orchards, then passing through local villages and rice paddies. The whole route is approximately 27 kilometres and will immerse you in the Balinese countryside. You’ll cycle along quiet country roads and mostly head downhill, but there’ll also be a few short hills to get your pulse racing. Your ride will finish up at white beach, a popular spot for swimming and sunbathing. There are plenty of local warungs (cafes) here, the perfect place to get some lunch. After some time to relax here, transfer to your guesthouse, where you’ll spend the next 2 nights. The accommodation is fan cooled and there are cold water showers. Trek to the village of Tenganan (approximately 6–7 hours). First you’ll visit the pristine Tirta Gangga Water Palace (1.5 hours drive from Ubud), of considerable importance to the Hindu Balinese. Pass through Budakeling, a Buddhist Brahmana village, then continue to a vanilla and cacao garden and enjoy a taste. Walk on to the village of Bedandem and visit a local silversmith. Your next stop is Gumung, where a rice terrace gives you a breathtaking view of Mt Agung. Here you might be lucky enough to join the locals in the field for the rice harvest. Continue through bamboo forest to Tenganan, an ancient Balinese Village around 4 kilometres inland of Candidasa. Take a minivan to Pura Luhur (approximately 30 minutes). Climb more than 1,700 steps to Lempuyang Temple (approximately 5-6 hours). The walk is paved the entire way and it is easy to find your way to the top. According to the locals, you shouldn’t complain on your way to the top, otherwise you’ll never make it! There are many spiritual and mythical aspects to this rewarding journey. There are actually seven different temples to see at this site. 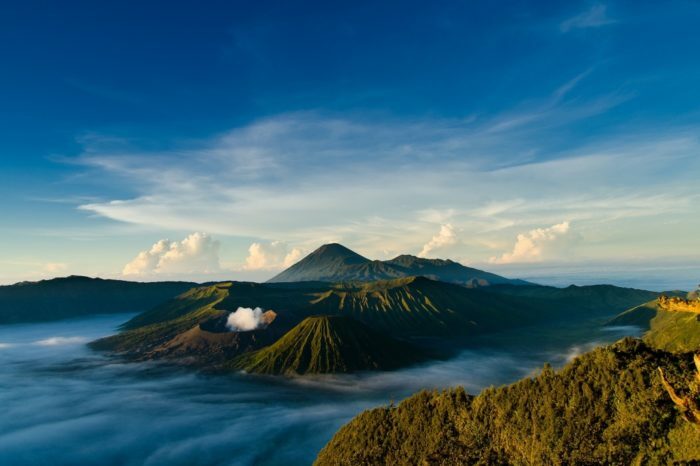 Enjoy views of Mount Agung, Bali’s highest peak. But also keep an eye out for long-tailed macaques circling in the sky. After your climb, return to the base and drive to your guesthouse, located on a black sand beach where you can finish off the day with a refreshing swim. Enjoy a free day in Amed. Soak up the peace and quiet of this remote coastal getaway – it’s an excellent place for a relaxing stroll along the shore or perhaps some yoga. While the shoreline itself is often rocky, the waters are crystal clear, making it an excellent place for snorkelling and diving. Those looking to discover the US Liberty wreck here can put on some snorkelling gear and go exploring. If you’re interested in this option, chat to your leader. Travel by fast boat to Senggigi, Lombok.This afternoon take a guided tour of the local Sasak village to learn about the history and culture of these people who live on the slopes of Mt Rinjani. Learn about how their traditions and beliefs surrounding this active volcano. Our guide is also part of a female guiding association that trains and develops women in tourism. Later today you will meet your local guide, discuss safety and waste management, be briefed on the route, and have time to pack your overnight bag for tomorrow morning. On returning, perhaps kick back with a cool drink. At times of increased volcanic activity the Mt Rinjani hiking routes are closed and for safety reasons this portion of your trip will run on an amended itinerary. Begin your full-day trek to Mt Rinjani today, departing at around 8am. Your route follows a variety of terrain – solid dirt path, solid rock, gravel and grass. There will be plenty of stops along the way to rest your legs and take some photos. Look out for long-tail monkeys and exotic butterflies as you hike along these lovely trails. First you’ll walk in shady forest; after that, the rest is open grassland. The last section is the toughest, up steep gravel paths. This takes you to the campsite just below the crater rim (2,600 m). Here a clear evening will give way to awesome views across Bali, the Gili Islands and Mt Agung. All camping equipment is provided including sleeping bags, sleeping mats and tents. There will be a local guide to join your group for the trek, as well as porters to carry the camping equipment. You will need to carry your own overnight bag for the hike. The weather here can be very cold overnight so ensure you have adequate clothing (ie. thermals, fleece or down jacket, beanie, gloves), especially if you know you feel the cold. Get up early to catch the blazing sunrise. After a 7am breakfast, it’s time to descend back to Senaru Village. A second perspective on yesterday’s environs is sure to yield some new discoveries – perhaps honeyeaters or cockatoos perched amid the dense forest. Transfer from Senaru to Telak Naru (approximately 1.5 hours). Here you will take a boat to Gili Air (approximately 20 minutes). Enjoy a well-earned rest and perhaps a cold beverage after your jungle adventure. Get amongst the marine life on a snorkelling trip around the crystal waters of Gili Air. After being fitted for snorkelling equipment, head out on a motorised wooden boat around the Gili Islands. Swim out straight off the boat and catch colourful scenes of fish and sea turtles in the water. You will make a few stops at different spots around the islands. Snorkelling is subject to local weather conditions and may be cancelled due to rough seas. Your trip comes to an end today with no further activities planned. If you are departing from Bali or Lombok airports, please allow enough time to book a fast boat and land transfer for your return.